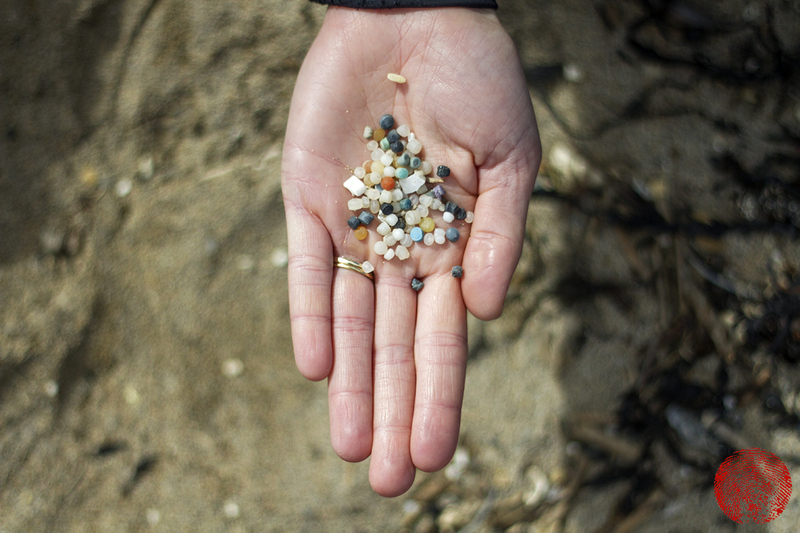 Mermaids’ tears are kind of a cute nickname for what are actually one of the greatest scourges on the marine environment: nurdles. Nurdles are the tiny pre-production plastic pellets, less than 5mm in diameter, which are used in the manufacturing of everyday plastic products – injection moulded items such as bowls, bins, etc etc… They end up in our seas and on our beaches due to spillages, either during transportation or at the facilities that turn them into end-user products, and wash down drains, eventually ending up in the marine environment. 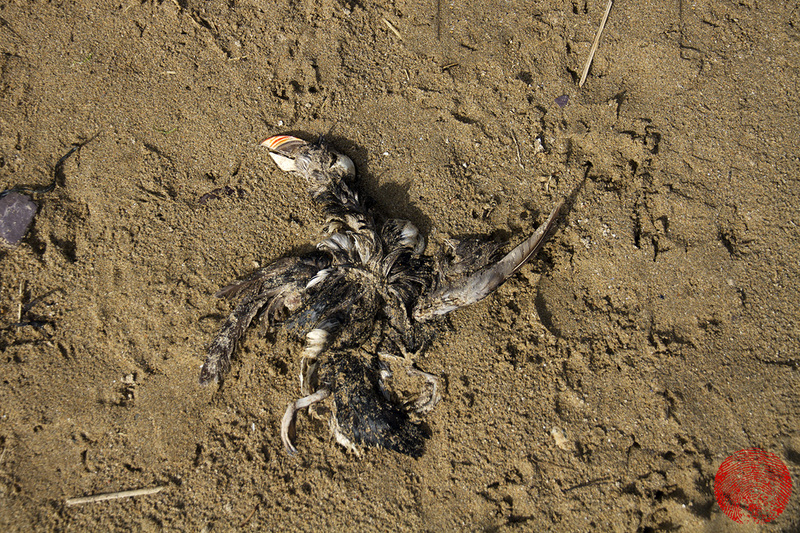 Here, they slowly absorb background pollutants (like DDT and PCBs), and are often mistakenly eaten by marine life and seabirds that mistake nurdles for their food source – the eggs of other fishes, for example. Around the British Isles, and Scotland in particular, the puffin is feared to be one of the species most at risk as a recent study revealed that around 15% of puffins have plastic in their bodies. The main problem with nurdles is that they are so small as to often avoid detection, and to make collecting and removing them from our beaches really difficult and time-consuming. Have a look around the high tide line next time you’re on the beach and there’s a fair chance that you’ll find a few tiny plastic pellets (about the size of a lentil) that are pretty fiddly to pick up (you should wear gloves, too). It’s much easier to address the issue at source, and to prevent them from getting there in the first place. Operation Clean Sweep is an international programme designed by the plastics industry (and supported by The British Plastics Federation and PlasticsEurope) in which companies that sign-up pledge to take steps to address and reduce spills, and are given advice on how to do so. “As a responsible local manufacturer we believe plastics should not end up in the oceans and marine litter is not acceptable. Our site uses interceptors that isolate solid waste from the storm drains prior to waste water leaving the site. They are maintained and emptied in line with industry guidelines and are regularly monitored. We have invested heavily in energy efficient equipment over the past 2 years to minimise our impact on the environment, resulting in 12% reduction in energy use and 40% reduction in water consumption. We recycle our waste plastic back into our processes and purchase recycled materials whenever possible. Any residual plastic is sent to recycling companies for reuse in other forms of manufacturing. We would like to extend an invitation for you to visit our Redruth site and see first-hand the processes we have in place. Now, I have actually visited their factory in the past (on an educational visit, back when I was a teacher), and I’m sure that they do follow industry guidelines. But, is that enough? Surely, if a local beach is littered with nurdles (I’d guess an above average number, and none are acceptable) then the responsibility must lie at their door. I wonder whether they’ll do anything other than place some meshed-traps in their drains, and perhaps begin sending members of their management team down to future beach cleans until such time as the number of nurdles on Porthtowan is drastically reduced thanks to their on-site measures? It’d be a nice start, wouldn’t it?